EMC World 2014: Some Session Suggestions! Congrats to all of the 2014 vExperts! Just wanted to take a moment to congratulate all of the 2014 VMware vExperts! I am honored to be counted amongst their number for the second year in a row. 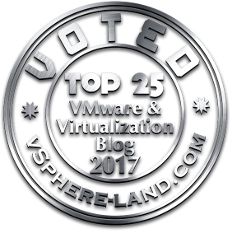 A very nice recognition of being active in the VMware community that comes with a lot of perks at conferences, through technology previews/betas and much more.